An abbreviation for 'mid-side pair'. An abbreviation for 'milliamp', a unit of current. One mA is one thousandth (10−3) of an ampere. In data communication, a unique numerical identifier that is permanently associated with a particular item of hardware. It is used by the communication protocol (e.g. Ethernet) to identify data packets indended for a particular destination. It is also known as a 'physical address', or a 'hardware address'. It is usually written as 6 pairs of hexadecimal characters. MAC originally stood for 'medium access control', but is now more commonly considered to stand for 'media access control', with essentially the same meaning. Describes the front-of-house speakers, or the signal which feeds them. When used in the plural ("mains") take great care not to confuse this term with the mains electrical supply. On a mixer, the fader that controls the overall level of the main mix. On some mixers there are separate Left and Right main faders to allow separate control of the overall Left and Right levels in a stereo mix. Some mixers have an additional main fader for a Centre mix. See also Master control. The mix that is intended for the front-of-house speakers. Often created by a mix of audio group mixes, usually with the addition of some effects. The main mix may be mono, stereo or Left-Right-Centre (see LCR (1)), and may also be referred to as the front-of-house mix. The term is used to distinguish this mix from other mixes such as audio groups, auxiliary mixes and matrix mixes. See also Mixer and Monitor mix. The supply of AC electrical power that is available from general and specialist power-outlets within a building, having been delivered to the premises from national generation and distribution facilities (usually via underground or overhead cables), or from one or more locally sited generator sets. 'Mains' is predominantly a UK term, sometimes referred to by the term 'AC', as shorthand for 'AC mains'. In the USA the mains supply is variously quoted as being 110, 115 or 120 volts (RMS), at 60 Hz. In most parts of the USA the 'delivery voltage' to the premises is quoted at 120 volts. However, it is accepted that some loss of voltage will occur in the wiring of the premises, so most US mains equipment is nominally rated at 115 or 110 volts, the so-called 'utilisation voltage'. (Although there will similarly be some loss of voltage in UK and European wiring, this fact is ignored in their specifications of supply voltage and equipment voltage ratings.) Furthermore, some US single-phase supplies are derived from a 3-phase supply at a nominal line-line voltage of 220 volts, providing a nominal single-phase delivery voltage of 128 volts. Caution: Take great care not to confuse the term 'mains', as defined above, with the plural of 'main'! See also BS 1363A outlet, BS 1363A connector, IEC, Powercon, CEE-form, Socapex, Distro, Power conditioner, Distribution board, Schuko connector, Camlock, Powerlock, Snaplock, TCMCC, QTBMC, Safety earth, Circuit protective conductor, Earth fault, PAT, Phase (3), Line conductor, Transformer, Isolating transformer, Hum, Buzz, Earth loop, Earth rod, Bonding, Generator set, Balanced mains, BS 7671, BS 7909, Inverter, Class I, Class II, Direct contact, Indirect contact, Basic protection, Fault protection, MCB, MCCB, RCD, RCBO, Power factor, VA, Isolated ground, Megger, Earth loop impedance, ISU, TN-S, TN-C-S and TT. Describes a power source, a sound or a signal whose frequency is the same as that of the mains supply, i.e. nominally 50 Hz in the UK or 60 Hz in the USA. Such a sound is frequently described as a hum or a buzz. Or (without the hyphen), any such frequency itself. See also Earth loop. A cable that is intended to carry mains supplies. The term 'mains lead' is more commonly used when the cable is fitted with connectors at both ends or is permanently attached to an item of equipment. (In such cases the usual American term is 'power cord'.) Apart from being adequately rated in terms of voltage and appropriate current-carrying capability, it is essential that an appropriate type of cable is used in terms of other parameters such as operating temperature, ambient temperature, flexibility, resilience to abrasion etc., flammability and smoke production during a fire. See also Kettle lead, BS 1363A connector, IEC 320, CEE-form and LSF. See Distro and Distribution board. Describes emergency lights, illuminated fire exit signs, etc., that are permanently illuminated. Whilst the mains supply is operating normally, they are illuminated using power from that supply, and also charge their internal batteries. If the mains supply fails, their illumination continues by using power taken from those batteries (generally for at least 3 hours). The correct operation of these units must be regularly checked, and records kept of the tests. Compare Non-maintained. The gain that is applied after compression of a signal, in order to restore its nominal level to a value similar to the value it had prior to compression. The make-up gain is usually applied in the compressor. Describes a connector that makes all or most of its connections by means of one or more pins. Such a connector is loosely known as a 'plug', especially when it is of the type that is fixed to a cable. See also Gender and Mate. Compare Female. A less 'technical' name for headroom. The phenomenon whereby some frequency components of a sound are not heard because of the simultaneous (or near-simultaneous) presence of a higher-level component at a nearby frequency. This phenomenon is utilised in many perceptual coding algorithms for the lossy compression of digital audio, such as ATRAC and MP3. See also Upward masking and Psychoacoustics. A genderless circular multiway connector that is popular for use with audio multicore cables. It is available in various sizes up to 176 poles. See also EDAC (1), Socapex and TCMCC. On a mixer, a fader control that adjusts the overall level of a particular mix. Main mix master faders are usually of the slider type, while auxiliary masters are usually rotary types. The part of the process of producing a studio recording in which the mixed-down tracks are further processed and assembled in the right order, at appropriate levels and with the apppropriate time intervals between them, so as to produce a 'master' recording for duplication and distribution. It is usually performed by a specialist mastering engineer, often in a different location to where the recording was made and the mixdown performed. A term most commonly used in reference to microphones, where it refers to a pair of microphones that are not only of the same make and type, but that have been specifically selected (usually by the manufacturer) to be extremely similar in terms of their precise characteristics. Such characteristics will include sensitivity, frequency response and polar response pattern. The use of matched pairs is particularly important for best results in some of the stereo microphone techniques commonly used in recording and live broadcasting. The process of ensuring, or arranging for, the compatibility of two items of equipment that need to be interconnected, particularly in regard to the (nominal) level of the signal flowing between them and/or to the (nominal) impedance of the signal source and load. Note that, in the case of impedance, compatibility does not imply equality (except in the special case of an impedance-matched interconnection). Indeed most analogue audio interconnections are arranged to have the load impedance significantly higher than the source impedance. This is sometimes referred to as a voltage-matched interconnection because, since connection of the load has little effect on the source voltage, the only consideration necessary in matching source and load is to ensure that the signal voltage level provided by the source is appropriate for the load. Where a source and load are not compatible they are said to be 'mismatched', and steps must be taken to resolve this if they are to be interconnected. The matching of signal levels generally requires the use of an attenuator or amplifier, while the matching of impedances is usually performed by means of a transformer. See also Microphone-level, Line-level, Low impedance and High impedance. A transformer whose purpose is to provide matching between two otherwise incompatible items of equipment or interconnections, usually by providing an impedance conversion. For example, to enable a high impedance microphone to be connected to a low impedance input, or vice-versa. However, such a transformer will also affect the signal voltage level (in theory, by a ratio equal to the square root of the transformer's impedance ratio). See also Balun. To connect together two compatible connectors. The term arises from the description of the connectors as 'male' and 'female'. In most cases, a male connector will mate only with a female one, and vice versa (see, however, Genderless). See also Gender and Gender changer. Compare De-mate. A facility of a mixer that enables each of several outputs to consist of a different mix of the various channel-mixes created within the mixer, e.g. the audio groups, Left and Right main mixes and auxiliary mixes. For further information see Master Section on the Mixing Facilities page. Describes something with minimal variation, especially across a specific range of frequency. See also Butterworth, Bessel and Flat (1). A unit of bit-rate, equal to 1024 kbit/s (1,048,576 bits per second). Sometimes written as 'Mbps'. An abbreviation for 'Master of Ceremonies', usually referring either to a person who speaks at an event to introduce individual items or (in a context such as a dance club) to a disc jockey (DJ) or similar person who controls the music being played and usually speaks. An abbreviation for 'miniature circuit breaker', a circuit protection device serving a similar function to a fuse, i.e. to automatically switch off mains power if the current flowing becomes excessive − for example in the case of an overload or short circuit. Such an automatic switch-off of the device is commonly referred to as 'tripping'. Sometimes informally called a 'trip switch', or just a 'trip' (though note that such terms are also used to refer to thermal circuit breakers). The main advantages of an MCB over a fuse are the ability to reset the device simply by the operation of a switch or button, and very rapid tripping under short circuit conditions. Note that MCBs are designed primarily as protection devices, and in general are not intended to be used for functional switching (that is, for the regular manual switching on and off of equipment); suitable switches will normally be provided for this purpose. As with a fuse, it should be remembered that tripping of the device may indicate a serious fault, and therefore the reason for tripping should always be investigated. A slow-acting thermal mechanism arranged to trip the MCB when the duration of an overload exceeds what is permissable for the severity of that overload. The slow-acting mechanism is designed to take into account the fact that cables and other equipment are able to tolerate smaller levels of overload for longer periods than larger overloads, without sustaining irreversible damage. For example (depending on conditions such as ambient temperature), in the case of MCBs that comply with standard BS EN 60898, a continuous current of 1.45 times the MCB's rated current should trip the device within 1 hour (for MCBs up to 63 amp rating), whereas a current 2.55 times the rated current should trip the device within 1 minute (for MCBs up to 32 amp rating − within 2 minutes for higher-rated MCBs). Type B MCBs are for all general-purpose applications and will rapidly trip at between 3 and 5 times the rated current. Type C MCBs are used only to protect circuits supplying equipment known to have high inrush currents. Their use may require the use of thicker cables in order to ensure that the cables are adquately protected in the event of a short-circuit fault. They will rapidly trip at between 5 and 10 times the rated current. Type D MCBs are used only in very special circumstances, to protect circuits supplying equipment known to have extremely high inrush currents. Their use is likely to require the use of substantially thicker cables in order to ensure that the cables are adquately protected in the event of a short-circuit fault. They will rapidly trip at between 10 and 20 times the rated current. See also Distro, Distribution board, Ring main, RCBO and the next definition. Compare Thermal circuit breaker. An abbreviation for 'moulded case circuit breaker', a device very similar in function to an MCB. However, an MCCB is capable of disconnecting much larger fault currents (typically in the order of 10's of thousands of amperes) and is rather larger in size. It is generally used in high-current power distribution equipment. An abbreviation for 'Mechanical-Copyright Protection Society', the name of a company that licenses the reproduction (i.e. copying) of recorded music in the UK, and pays royalties to the songwriters, composers and/or music publishers responsible for the work. MCPS is one of the constituent companies of PRS for Music, whose website is: www.prsformusic.com (opens in a new window or tab). See also PRS. Compare PPL. An abbreviation for 'mini disc' or for 'musical director'. An abbreviation for 'mini disc long play'. There are three common variants: LP2 is a stereo format that provides twice the normal (stereo) playing time, LP4 is a stereo format that provides four times the normal (stereo) playing time, and monaural is a single-channel (mono) format that provides twice the normal (stereo) playing time. An abbreviation for 'modular digital multi-track'. This describes any digital multi-track tape machine that can be interconnected with similar machines in order to effectively create a larger machine. An example is the Alesis ADAT. An abbreviation for 'mains distribution unit'. This describes any item of equipment whose purpose is to split a single mains supply feed into multiple feeds. It may refer to large units equipped with CEE-form and/or Powerlock (or similar) connectors or to smaller (often rack-mounted) units equipped with BS 1363A or IEC outlet connectors intended to feed individual items of equipment. Some types incorporate circuit protection devices, manual switching or automatic sequential switching facilities, surge protection and/or power status indicators. Alternatively known as a power distribution unit, or PDU. See also Power distribution. A microphone used to pick up sound for the measurement of sound pressure level or for an analysis system. In PA work such systems are generally used to determine the performance of speaker systems within a particular acoustic environment, and to assist in adjustments made to improve their performance. Such microphones may be purpose-designed types, or sometimes a normal flat-response condenser microphone is used. See also Sound level meter, MLSSA and STI. The physical material on which information is stored, as opposed to the information itself. For example, media suitable for the storage of digital audio would include CD, DAT, DVD and mini disc. The term is often used to refer to the material in its 'blank' state, i.e. without any information recorded on it. A general term for all possible pathways for the carrying, broadcast or dissemination of information, particularly news. Or, the companies or organisations responsible for such dissemination. As a noun in science, a general term for a substance, particularly a liquid or a gas, in which something else exists or through which something else is carried. In PA work, the term usually refers to a means of storage or means of transfer for information or other signals. For example, the physical means for holding a recording, such as a CD, or a means or substance through which signals or sound waves may be passed, such as radio waves, the Internet, or air. See also Propagation of sound. A manufacturer of test equipment (a registered trademark), notably insulation testers and multimeters. Commonly used as a slang term for any such tester or meter, regardless of its manufacturer. See also AVO. The basic tune of a song or of a piece of music. See also Lead (2). Compare Harmony. Data that is included within an audio and/or video file or datastream, but which is not a constituent part of the audio or video programme material itself. For example, information about the programme material such as its title, its creator's name or its date of creation. See also BWF. A facility of an induction loop amplifier, enabling it to provide an adjustable boost to the treble frequencies. Such a boost is useful in order to counteract the increased attenuation of the loop current caused to those frequencies by the presence of ferrous materials (such as structural steelwork or reinforcing meshes embedded in concrete floors and ceilings) within or close to the area covered by the loop. A part of a mixer or a multi-track recording machine that incorporates only metering facilities. It may be an integral part of the equipment, or may be removable to allow the equipment to be configured with different styles or quantities of metering. The name arises from the fact that it is often located at the highest point of the equipment, and spans all or most of its width. Facilities (usually of a mixer) whose purpose is to indicate the level of a signal. The ability is needed to indicate the level through individual channels (to facilitate the adjustment of the gain controls) and to indicate the level of the mixes (to indicate the mixer output levels). Metering facilities may be of the analogue type, in which a needle physically moves across a scale, or the bargraph type, consisting of a column (or row) of illuminated segments, usually having green, yellow and red regions. In either case, the meters usually have markings in decibels. Meters are sometimes located on a meter bridge. The response-times of a meter to rising and falling levels make a large difference to the readings displayed for real programme material (as compared to a steady tone) − for further information see PPM and VU. See also the previous definition, Full scale, Over and 0 dB (4). An abbreviation for 'millihenry', a unit of inductance. One mH is one thousandth (10−3) of a henry. A unit of frequency. One MHz is 1000000 Hz, or 1000 kHz. An abbreviation for 'microphone'. Pronounced 'mike'. See also Mike. The crew member designated to manage stage microphones and stands, bodypacks, headsets, etc. during the running of a show. This person is sometimes referred to as the 'A2' or the 'A3' − for further infomation see Sound engineer. See also Stage tech and Monitor engineer. A prefix indicating one millionth (10−6). It is abbreviated using the symbol 'µ'. For example, a microvolt (µV) is one millionth of a volt, and a microbar (µbar) is one millionth of a bar. A manufacturer of many different types of connector. However, in PA work the term is most often used to refer to a specific type of 2-pole miniature threaded connector, compatible with a type manufactured by Microdot, intended for screened unbalanced connections. This particular connector is typically used for connecting lavalier microphones and headsets to bodypacks, and is alternatively referred to as a '10-32' connector. (The latter designation refers to a US #10 screw thread having 32 threads per inch.) See also TA4. A device for converting audible sound into an electrical signal. For full details see the Microphones page. Frequently abbreviated to 'mic' (pronounced "mike"). See also Mike-up, Pick-up (2), Dynamic microphone, Condenser microphone, Radio microphone, Proximity effect, Polar response, Sensitivity, Axis, Omni-directional, Uni-directional, Subcardioid, Cardioid, Super-cardioid, Hyper-cardioid, Rifle, Dynamic range, Noise, Impedance, 57, 58, Phantom power, Breath blast, Windshield, Handling noise, Gooseneck, Critical distance (1), Distance factor, 3-to-1 rule, Leakage, Capsule, Transducer, Diaphragm, Grille, Basket, Boundary microphone, Ribbon microphone, Bidirectional microphone, Feedback, Lavalier, Necklace microphone, Roving microphone, Measurement microphone and the definitions following this one. Describes a signal whose level is similar to that to be expected from a microphone, typically in the region of 1 or 2 mV (−58 to −52 dBu), but quite possibly anywhere in the range of 0.2 to 10 mV (−72 to −38 dBu). Sometimes quoted as a nominal level of −50 dBu (2.45 mV). The output level obtained from a particular microphone under particular circumstances will depend upon the sensitivity of that type of microphone and upon the sound pressure level to which it is exposed. This wide range in the output level of microphones is one of the main reasons that pre-amplifiers are provided with gain controls. Compare Line-level and Instrument-level. 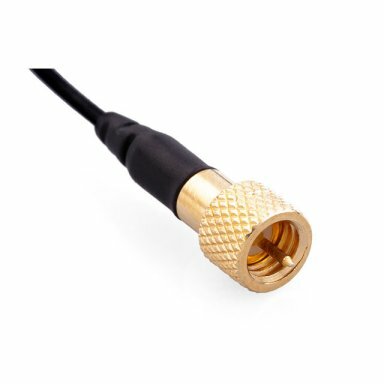 A cable that is suitable for carrying microphone-level signals, typically used for interconnections between a microphone and a mixer, or between a microphone or other stage source (such as a DI box) and a stagebox. The term usually refers more specifically to a cable suitable for balanced low impedance microphone connections. Such a cable consists of a pair of insulated conductors within a metallic foil or a braided or lapped screen (or 'shield'), and is usually equipped with a female 3-pin XLR at one end and a male 3-pin XLR at the other end. For details of its wiring see the diagram on the System Assemblers page. Note that it is generally recommended that the screen is connected only to pin 1 of the XLRs, and not also to the metallic shell of the XLR at either end of the cable; this is to avoid earth loops occurring by incidental contact with other connector shells or adjacent metalwork. These microphone cables may also be used for line-level signal interconnections, such as stage returns to power amplifiers or connections to and from effects or other signal processing units. Compare Speaker cable. A rather imprecise term referring, in general, to any input that is suitable for connection of a microphone. However, in the case of modern mixers having inputs suitable for the connection of balanced microphone-level low impedance signals (produced by sources such as balanced low impedance microphones and by DI boxes), the term 'microphone input' has come to refer to those inputs − regardless of the use to which they are actually put. Such an input is generally able to accept signals of considerably higher level than those typically produced by microphones, by use of the associated gain control and/or pad switch. The connector is usually a female 3-pole XLR. Caution: These inputs often have the facility to supply phantom power − take care to ensure that phantom power is not activated unless you are sure that the connected source(s) are able to accommodate it without damage. Further, connections should not be made or broken while phantom power is present, as to do so may generate very high-level impulsive noise that is capable of damaging speakers and ears. Compare Line input. A device which provides two (or sometimes more) balanced microphone-level outputs for each input. Usually used on-stage to enable the microphones (or other balanced sources such as DI boxes) to feed more than one mixer. Typically these would be either the front-of-house mixer and the monitor mixer, or the live sound mixer and a recording system. It is most often found as a multi-channel device, catering for 4, 8, 12, or 16 inputs. Passive types may either be of a hard-wired design or of transformer-based construction − both of these types will introduce some signal loss, which may only be apparent when more than one output is connected to its destination equipment. (Typically, a loss of around 3 dB per doubling in the number of outputs can be expected from transformer-based types.) Active designs, however, introduce no loss and, in the event of a fault in the cabling or equipment connected to one output of a channel, ensure the continued operation of other output(s) of that channel. Most types will be wired to pass phantom power from just one of the outputs through to the input; phantom power from (or to) the other output(s) is blocked. See also Split output, Direct output and Output-to-output isolation. For the popular stereo recording placements see A-B pair, Mid-side pair, ORTF, NOS (1) and X-Y pair. View a pictorial comparison of the above five techniques. See also Sensitivity, Polar response, Proximity effect, Critical distance (1), Leakage, 3-to-1 rule, Breath blast, Handling noise and One microphone technique. Describes an undesirable property of cables or equipment, in which movement or vibration that they experience causes the generation of a corresponding signal (i.e. they exhibit behaviour similar to that of a microphone). This behaviour is called 'microphony', and in the case of cables is usually caused by movement or vibration causing slight variations in the cable's capacitance. Valves may also be subject to microphony, especially later in their life, and in some cases this may be so extreme as to cause unwanted feedback. See also Noisy. A slang term for 'mid-range frequencies'. A mixer will usually provide the facility to control the relative level of these frequencies separately for each channel, leaving other frequency ranges essentially unaffected. Such an equaliser generally has a peaking response with a centre frequency somewhere in the region of 250 Hz to 6 kHz. It may consist of a single control, a pair of controls (one for the lower and one for the higher mid-ranges) or may consist of one or more sweep EQ facilities. Some speakers are equipped with one or more drivers that are specifically designed to handle the mid-range frequencies. See also Crossover. A driver designed specifically to handle only mid-range frequencies. Compare Horn (1) and Bass driver. A cardioid microphone (named 'Mid') and a bidirectional microphone (named 'Side'), positioned such that the cardioid microphone faces forwards and the pick-up axes of the bi-directional microphone point sideways (with the 'positive' side to the left), the pair of capsules being located as close together as possible (ideally, 'coincident-ly'). The Left channel signal is obtained by summing (i.e. adding) the outputs of the two microphones (Mid + Side), and the Right by subtracting them (Mid − Side); some microphone pre-amplifiers incorporate a decoder for this purpose. This arrangement is useful for stereo recording and for broadcast purposes, firstly because control over the width of the stereo image is possible by adjusting the relative gain given to the Mid and Side microphone signals, and secondly because a mono version of the picked-up sound is available direct from the Mid microphone. (If the first of these advantages is to be retained until mix-down of a recording, then the Mid and Side signals must be recorded without prior decoding; the decoding must then be done at mix-down.) Note that summing the decoded Left and Right channels (at equal levels) to produce a mono mix yields just the output of the Mid microphone (i.e. mono pick-up), because (Mid + Side) + (Mid − Side) = 2 x Mid; this applies regardless of the relative gain given to the Mid and Side signals before decoding, and is useful for mono broadcast purposes. Often abbreviated to 'MS pair', or 'M-S pair', which is sometimes incorrectly, but understandably, believed to stand for 'mono-stereo pair'. See also A-B pair, X-Y pair, ORTF, NOS (1) and Microphone technique. A specific section of some songs. This section, when present, typically has a significantly different 'feel' to the other sections of the song − it is neither a verse nor a refrain. It most usually occurs just once in the song, and may or may not be included within a vocal part. It may sometimes be referred to as a 'bridge'. The term originated because this section was conventionally 8 bars long and occurred close to the middle of the song, however these attributes no longer always apply in practice. The musical note produced by the 'C' key close to the centre of a full-sized piano keyboard − the fourth 'C' on the keyboard (counting from the left), also called 'C4'. The fundamental frequency of this note is approximately 261.62 Hz. See also Pitch, Octave and Concert pitch. An abbreviation for 'musical instrument digital interface'. A standard originally intended for the interconnection of musical devices (not just instruments), allowing them to communicate with each other digitally. It is most commonly used for connections between keyboards, sequencers (whether dedicated or computer-based), sound-generators and effects units. However, the standardisation and reliability of the MIDI interface has led to its adoption for other control purposes, unconnected with the creation of music, such as stage lighting control (compare DMX) and mixer automation. The general term for such arrangements is 'show control'. MIDI instrument control links do not carry digital audio, but rather instructions that indicate each musical note to be played, how it is to be played, and on which instrument. The quality of the sound is therefore determined by the instrument (or sound-generator) that is used to create the audio signal, not by the instrument (or computer, etc.) that is used to create the instructions. The MIDI standard allows for up to 16 channels of information to be carried on a single physical interconnection. Typically, each type of created sound (or 'voice') is allocated a channel to control it, allowing for the simultaneous control of up to 16 voices. These may be produced by several different MIDI-controllable instruments fed with the same MIDI signal, or by multiple sound-generators within the same instrument. The voice required to be sounded on each channel is specified using a Program Number, which is sent using a channel-specific Program Change message. The interconnecting cables use a 180º 5-pin DIN plug at each end, and employ screened cable with two signal-carrying conductors connecting to pins 4 (positive) and 5 (negative) respectively − these are the two pins immediately adjacent to the middle pin (pin 2) to which the cable's screen connects. Data is sent asynchronously as simple pulsed DC, with no line code; correct polarity is essential. The interconnection operates as an 'isolated loop' − all the current flowing from the 'sending' end on pin 4 returns to it on pin 5. The loop operates from a +5 volt supply via a resistor which limits the short circuit current to 5 mA. The digital information is extracted via an opto-isolator within the equipment at the 'destination' end; the opto-isolator detects the switching on and off of the loop current, and correspondingly switches on and off a voltage that is sourced within the receiving equipment. Further, although the cable screen is connected to pin 2 of the plugs at both ends of the cable, this connects internally to the equipment signal earth at the 'source' end only. The isolated loop and this latter measure together ensure that no earth loops can be introduced by MIDI connections. For this reason, DIN plugs that incorporate a link from pin 2 to their shell should not be used; the use of purpose-made MIDI cables is recommended. A physical MIDI interconnection can be made from one source to one destination only; a single cable cannot be 'looped' between several destinations. However, most 'destination' equipment has a 'through' connection which may be used to forward a regenerated version of the input signal on to another destination. Such an output is usually labelled 'THRO' (or 'THRU'). The signal is usually regenerated in amplitude only; it is not re-timed as this process would introduce a significant delay. The number of items in such a daisy-chain should therefore be limited to about 4, to avoid a build-up of timing errors. A better method is to use an active MIDI distribution box, which has several outputs enabling multiple destinations to be fed 'in parallel' from a single source. Other more clever MIDI boxes are available, which are able to combine the signals from several sources, modify channel allocations, etc. The bit-rate is 31.25 kbit/s, which by modern standards may seem rather low. However, since note-on and note-off instructions require just 3 bytes each (a total of 33 bits, including one start and two stop bits per byte), this data rate supports up to 946 of these instructions per second (i.e. 473 notes begun and ended, per second), across all 16 channels combined. See also General MIDI, Sysex, Latency and the following definitions. A protocol that enables a MIDI signal to be used to convey commands such as 'play', 'stop', 'rewind' and 'record' (typically sent from a DAW or other computer-based system). These commands may be used to control the transport of a player or recorder (whether a physical machine such as a DAT recorder or a virtual computer-based machine). Frequently abbreviated to 'MMC'. An arrangement in which a MIDI signal is used to convey a time code, typically to provide synchronisation between items of equipment. Frequently abbreviated to 'MTC'. See also SMPTE. As a noun, an abbreviation of microphone. As a verb, the same meaning as Mike-up. To position a microphone in order to pick up a particular sound source. A prefix indicating one thousandth (10−3). It is abbreviated using the symbol 'm' (N.B. always lower-case). For example, a milliamp (mA) is one thousandth of an ampere, a millisecond (ms) is one thousandth of a second, and a millivolt (mV) is one thousandth of a volt. An abbreviation for 'multiple input, multiple output', usually referring to the input/output capabilities of an item of equipment. A recordable and editable digital audio recording medium, similar to a compact disc but smaller in diameter. The playing time is the same as for a CD − this is achieved on a smaller disc area by compression of the digital information. This term has a strict mathematical definition which is outside the scope of this site. However, for our purposes a system can be described as minimum phase if it has the minimum possible group delay of all real systems having the same frequency response. In fact the description 'minimum phase' can be understood as 'minimum group delay'. A minimum phase system has the property that its phase response can be deduced from its frequency response. It should also be noted that the description 'minimum phase' is sometimes misused to mean a system having a linear phase response, that is, having a constant group delay (rather than the minimum group delay). In PA work, a unique blend of multiple individual sounds into a composite sound. It is usually created by using a mixer to perform an addition (sum) of the analogue signal voltages − or the digital values − corresponding to each component sound, in their desired proportions. (However, compare One microphone technique.) In most PA situations a mixer will be set up to create several different mixes. Or, as a verb, the act of creating such a blend, including the modification and processing of the sounds as judged to be desirable. This would typically include equalisation, dynamics processing and the addition of effects. See also Main mix, Centre mix, Monitor mix, Group, Auxiliary, Bus, Summing, Matrix, Mono and Stereo. A mix that excludes a specific source. For example, when working with 2-wire analogue telephone lines it is necessary to ensure that the mix sent to the line excludes the signal received from that line. Alternative terms are 'clean feed', 'select audio return' (SAR) and 'offline mix'. See also Hybrid (2). The part of the process of producing a studio recording in which the individual recorded tracks of each sound source are all played back simultaneously and their signals are appropriately processed and combined together in the desired proportions, usually with added effects, to produce a stereo mix of the recording in a format suitable for high-quality digital storage. See also Mastering and Tape return. An item of equipment used to combine signals in the desired proportions, usually also providing facilities for equalisation, panning, the connection of effects − and often other facilities besides, such as auxiliaries and PFL. A full description of facilities is given on the Mixing Facilities page. Mixers usually accommodate 8, 12, 16, 24, 32 or 40 channels. Also called a desk, a sound board (or just a board) or a console. See also Digital mixer, House mixer, Monitor mixer, Mixer-amplifier Powered mixer and Control surface. For an introduction to mixing see the Mixing Engineers page. An item of equipment incorporating both mixing facilities (see mixer) and one or more power amplifiers to drive the speakers, within a single unit. Usually refers to equipment of a 'box-like' (rather than a 'desk-like') construction, having its controls on a vertical front panel. The channel faders are usually rotary types, not sliders. Compare Powered mixer. An arrangement in which settings of a mixer are automatically adjusted (usually during an event) according to a schedule that has been previously determined and programmed into the automation system. Automation is particularly suited to digital mixers, but certain types of analogue mixers (usually large ones) may also be automated to varying degrees. Mixer automation systems are also known as 'show control' systems, although in general that term has a wider scope. Automation features may be built into the mixer, or may be provided by a computer connected to the mixer via a suitable control interface such as MIDI. See also Motorised fader. The process of creating an audio mix, involving a combination of artistic ability, musicality and technical understanding. An alternative term for destructive solo. A trademarked name for a software-based audio analysis system, in which a short burst of a pseudo-random noise sequence is applied to the speakers and the resulting sound is picked up by a measurement microphone. The picked-up signal is then analysed by the software. MLSSA is an abbreviation for 'maximum length sequence spectral analysis', and is pronounced 'Melissa'. See also Real time analyser (RTA), Tuning (1) and Fourier analysis. Compare STI. An abbreviation for 'MIDI machine control'. One of several possible specific operating states of an item of equipment, or of a particular facility that the equipment provides. For example, 'learn mode' as compared to 'run mode'. Usually refers to the frequencies at which the reverberant sound energy in an enclosed space is concentrated. Such frequencies occur where the room dimensions, or combinations of them, have a numerical relationship with the sound's wavelength. In a room of constant length, width and height, the modes can readily be calculated from those dimensions. For example, axial modes exist at the frequencies where an exact number of half-wavelengths fit between the room's opposite walls, or between the ceiling and floor. However, a typical room is likely to have a very large number of modes (which may be closely-spaced in frequency) due to the effect of multiple combinations of the room dimensions in axial, tangential and oblique directions. Absorbent room surfaces will serve to dampen the modes, according to the effectiveness of their absorbency at each mode's frequency. See also Critical frequency, Cut-off frequency, Acoustics (1) and Acoustics (2). In a general sense, any device that provides the function of modulation and the corresponding reverse process of demodulation. However, the term is nearly always used to refer to a device that uses these processes to allow digital information to be conveyed through an analogue communication channel − especially an analogue telephone connection. The name is an abbreviation of 'modulator-demodulator'. See also Bandwidth and Codec. Describes equipment that is constructed largely of readily removable modules, each of which provides a specific function. The electrical connections between the modules and the main body of the equipment are usually made by means of one or more connectors located at the rear of the modules. This allows their convenient removal for maintenance or repair, or for replacement by a compatible module that provides different facilities. See also Channel strip. The variation of a signal, or, the process by which such a variation is achieved. The most common example of modulation is in information transmission, especially by radio. In radio communications, to avoid interference between simultaneous transmissions in the same area, it is necessary for each communications channel to use a radio-frequency (RF) 'carrier' signal of different frequency. The carrier is modulated, i.e. varied, by the information to be transmitted (termed the baseband signal) using the required type of modulation. The resultant RF signal is no longer single-frequency, but consists of an upper sideband above the carrier frequency and a lower sideband below it; either of these, or the carrier itself, may subsequently be removed (or be partially suppressed) without loss of information. There are many kinds of modulation, but those most commonly known are amplitude modulation (AM) and frequency modulation (FM). In AM, the baseband signal varies the level of the carrier, whilst in FM it varies its frequency. In general, FM provides an improved quality of transmission − especially as regards susceptibility to interference − but requires a greater bandwidth. However, the principle of modulation is by no means exclusive to radio. It is also used, for example, in effects units and in sound synthesisers. The reverse process, by which the original modulating signal is extracted from the modulated carrier, is called demodulation. See also Pulse code modulation, Pulse width modulation, Modem, Multiplex and Intermodulation. A sound source (usually a speaker) provided on-stage for the benefit of performers, a mix of signals destined for such a sound source, or a facility of a mixer which enables the provision of such a mix (sometimes referred to as 'foldback'). A floor-standing speaker provided for this purpose is often called a 'wedge', because of its shape. Smaller, stand-mounted types are also available; these are generally intended to provide close-up monitoring for just one performer and are sometimes referred to as 'personal monitors'. An alternative to using speakers as the sound source is to use in-ear monitoring (IEM). Note: When working with video engineers, with video production staff or with computer equipment, take care to avoid confusion over this term, as it may also refer to a video monitor or to a computer monitor. See also Auxiliary. A sound engineer who is responsible for creating the monitor mixes; the person who operates the monitor mixer. Compare FOH engineer. A mix that is created specifically to meet the needs of one or more performers, rather than for the audience. Monitor mixes are usually created using a dedicated monitor mixer, the auxiliaries of the front-of-house mixer or a personal mixing system, and are fed to floor monitors (wedges) or to in-ear monitors or headphones worn by the performers. A monitor mix may alternatively be referred to as foldback. Compare Main mix. A mixer used in large systems, solely for the purpose of mixing for the performers' monitors. It is usually located at the side of the stage and is operated by a monitor engineer. (The front-of-house sound is then mixed by a separate mixer referred to as the 'FOH mixer' or the 'house mixer', usually located centrally within, or towards the back of, the audience area). The various on-stage signal sources are arranged to feed both the FOH mixer and the monitor mixer by use of a microphone splitter or other monitor split facility. Usually several monitor mixes are created (ideally one for each performer). This is normally done by using the post-fade auxiliary sends of the mixer, to allow overall control of the level of each source using the channel faders. See also Listen wedge. A facility which enables one or more stage signals to be fed to a monitor mixer as well as to the front-of-house mixer. This facility may be provided by a multicore stagebox, by a microphone splitter or (more rarely) by the split outputs of one of the two mixers. Describes equipment that handles, or provides, one or more signals, each of which is intended to be ultimately supplied both to the Left and Right front-of-house speakers. Or, describes a system configuration in which an identical mix is supplied to the left and right front-of-house speakers. Or, describes equipment having only a single channel, or equipment that is configured to operate in single-channel mode. Compare Stereo. Note: Strictly, 'mono' is an abbreviation for 'monophonic'; however, the term 'monophonic' is now rarely used with this meaning − for the more usual meaning see Monophonic. The mode of a 2-channel power amplifier when it is set for single-channel bridged operation. See also the previous definition. Describes a sound source (usually an instrument) that is capable of producing only one musical note at a time (e.g. a flute). Compare Polyphonic. Note: Rarely, abbreviated to 'mono'; however, 'mono' more usually has the meaning given at the definition of Mono. An abbreviation for 'metal oxide on silicon field effect transistor'. Strictly a specific type of FET, but in PA work it is usually used to describe a power amplifier that uses a high-power version of this type of transistor in its output stage. For more information on power amplifiers see the Amplifiers and Speakers page. An area, typically in front of a concert stage, in which a relatively small proportion of the audience members dance, often very energetically. This may be a designated area in between the stage and the audience seating, or, more typically at outdoor concerts, may be a spontaneously arising region (usually close to the stage) within a standing audience. A fader that is equipped with an electric motor, enabling its physical setting to be changed under remote or automatic control (as well as in the usual manual fashion). Such faders are primarily used in digital mixers, to enable pre-programmed mixes to be restored at will, whilst still allowing the facility for manual deviations to be made from the pre-programmed fader settings. See also Mixer automation. An abbreviation for 'metal oxide varistor', a device used inside some types of mains power distribution equipment, or a component used within any other type of equipment, that provides some measure of protection against voltage surges and spikes (see SPD). These devices can be damaged or destroyed if subjected to excessive or often-repeated power surges. Describes a lantern that is equipped with a mechanical means to move the part containing the light source and related optics (that is, the 'head'), so as to enable the direction of the light beam to be changed while in operation. Such movement is usually arranged in terms of a rotation angle and a tilt angle, allowing any beam direction in 3 dimensions. The movements are usually controlled remotely via a DMX interface, though some units may have the capability for autonomous movement (for example, in response to ambient sound). A digital audio file format employing the data compression scheme specified by Layer 3 of the MPEG-2 (or MPEG-1) specification. (The '3' refers to that Layer.) It was heavily used for reducing the time taken to download digital audio files from the Internet, and for reducing the amount of data storage required by portable music players, but is now largely superceded by improved formats such as AAC. See also ATRAC, Masking, Perceptual coding and Variable bit rate. A file format for MPEG-4 digital video and audio files. However, the term is also sometimes used to refer to MPEG-2 AAC audio-only files. An abbreviation for Moving Picture Experts Group (often referred to as the Motion Picture Experts Group), the body which defines coding standards for digital audio and video data. There are several 'Phases' of MPEG standards, identified as MPEG-1, MPEG-2, MPEG-4 and MPEG-7, which co-exist to provide different functionality; the higher-numbered phases do not supercede the lower-numbered ones. Each Phase is broken down into a number of layers, providing different facilities. Frequently used to refer to digital video files. See also MP3 and MP4. An abbreviation for 'maximum recording level', a fixed parameter of a particular type of recording tape, specifying the maximum magnetic level that may be recorded within specified signal distortion limits. A manufacturer of recording tapes and reference tapes. An abbreviation for 'millisecond', a unit of time. One ms is one thousandth (10−3) of a second. An abbreviation for 'MIDI time control'. Describes a sound that is lacking in clarity. See also Clarity and Warm. A cable for the purpose of conveniently carrying several separate signals between two locations, typically the stage and a mixer (or patch bay) location. Commonly called a snake (a slang term). In a 'conventional' (i.e. analogue) multicore, each signal is carried on an independent circuit (or channel) within the cable, consisting of insulated 'hot' and 'cold' conductors (known as a 'pair') contained within their own screen. Each pair is usually identified by a specific combination of insulation colours (see Colour code for details) or by numbers printed on the insulating wrap or jacket of the pair's screen. 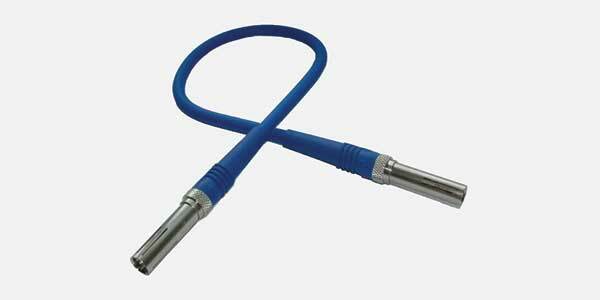 The cable as a whole is protected by an outer sheath. The stage end of the cable is usually hard-wired to a stagebox, but may alternatively be fitted with a multiway connector such as an EDAC. The mixer end of the cable is usually split into tails, or again a multiway connector may be employed, e.g. for convenient connection to a patch bay. The circuits intended for the transfer of signals from the stage to the mixer are called 'sends' and are nearly always used in balanced mode. The circuits intended for the transfer of signals from the mixer to the stage are called 'returns' and should preferably be used in balanced mode but are sometimes used in unbalanced mode. A digital multicore serves the same function, but operates on an entirely different principle (click the link for details). See also Line, Drain wire, Belden and Powered multicore. A test meter that is able to measure several different electrical quantities − usually at least voltage, current and resistance. A multimeter provides its indications of measured quantities using either an analogue or a digital type of display; models using a digital display are frequently referred to as DMMs. See also AVO, DVM, Megger and Calibration. Usually describes an event in which different methods of presentation are combined. For example, a combination of speech, music, sound effects, video clips, slide shows, and lighting effects. See also AV. A signal that consists of several other signals, combined together in such a way that the original constituents can later be separated out again and identified (as opposed to simple 'mixing', which is irreversible). Or (as a verb), to generate such a combined signal. The process of combining the signals is called multiplexing, and is performed using a coder. The process of separating them again is called demultiplexing, and is performed using a decoder. The purpose of multiplexing is to create a composite signal that can be stored, transmitted, or otherwise processed as a single unit. This is largely for convenience, but also ensures that all the information stays together. An example would be an SPDIF signal, which is a multiplex of Left and Right audio signals, along with other information, interleaved into a single bit-stream, enabling it to be carried on a single cable. Often a multiplex is a digital signal, but is not necessarily so. The term 'multiplex' is frequently abbreviated to 'mux' or to 'MPX'. 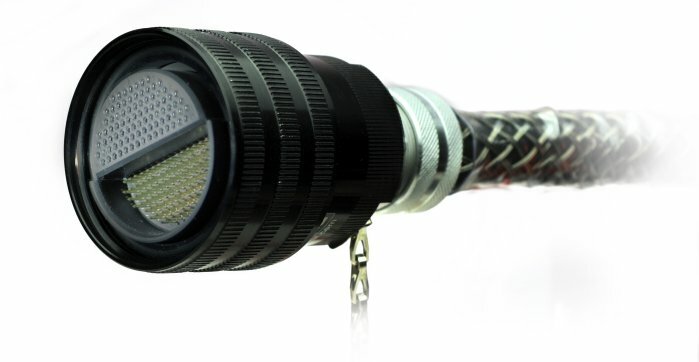 A type of screened unbalanced connector, typically used for professional video connections (both analogue and digital). It is most commonly found on broadcast video patch bays. The original analogue version has a characteristic impedance of 50 ohms, but 75 ohm versions have now become available to meet the more demanding requirements of digital video interconnections. See also BNC. Background music (BGM), such as is played over public address systems in public buildings. The term was originally formed as a trademark for a system of transmitting music over telephone lines, patented by General George Owen Squier, who combined the word 'music' with the company name 'Kodak'. A slang term for a musician. To silence something, or a function that provides such a facility. In PA systems, usually refers to a facility of a mixer, enabling the interruption of the signal from an individual channel, a selection of channels, or a mute group without disturbing the settings of the faders. Or, a facility of a radio microphone system, which allows the audio signal to be manually interrupted at the transmitter without causing the clicks and pops that would result from switching off the carrier. In certain circumstances muting may also occur automatically to prevent the passage of unwanted audio signals or noise, for example in the operation of radio system squelch. See also Fire muting. To reduce the loudness of a musical instrument, or a device that has that effect. For example, to play an instrument in a quieter style, or to make use of a device that has the effect of causing the instrument to produce a quieter and/or less strident sound. A facility of a mixer, enabling the simultaneous interruption of the signals from a selection of channels that might not be associated in any other way − i.e. which may be assigned to different audio groups and/or VCA groups. The effect in which a changing magnetic field that is produced around a conductor as a result of a changing current flowing in it, cuts across a different nearby conductor and so causes a voltage to be produced in that conductor. This effect is put to good use in a transformer, but may also be the cause of unwanted inductive coupling between conductors of different circuits. An abbreviation for 'millivolt', a unit of voltage. One mV is one thousandth (10−3) of a volt. An abbreviation for 'milliwatt', a unit of power. One mW is one thousandth (10−3) of a watt.